Hello and Happy Holidays 2014! 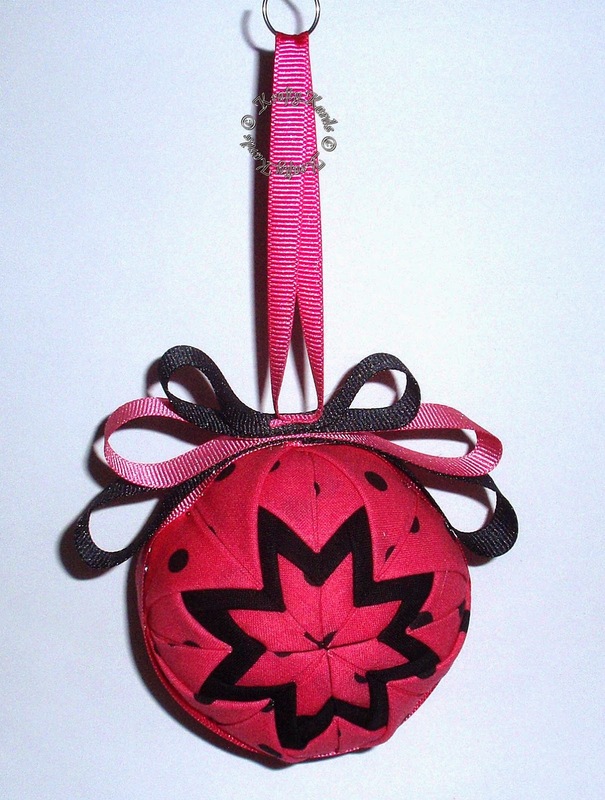 This year I was totally addicted to making quilted ornaments. So addicted that I didn't even make and send out Christmas Cards! 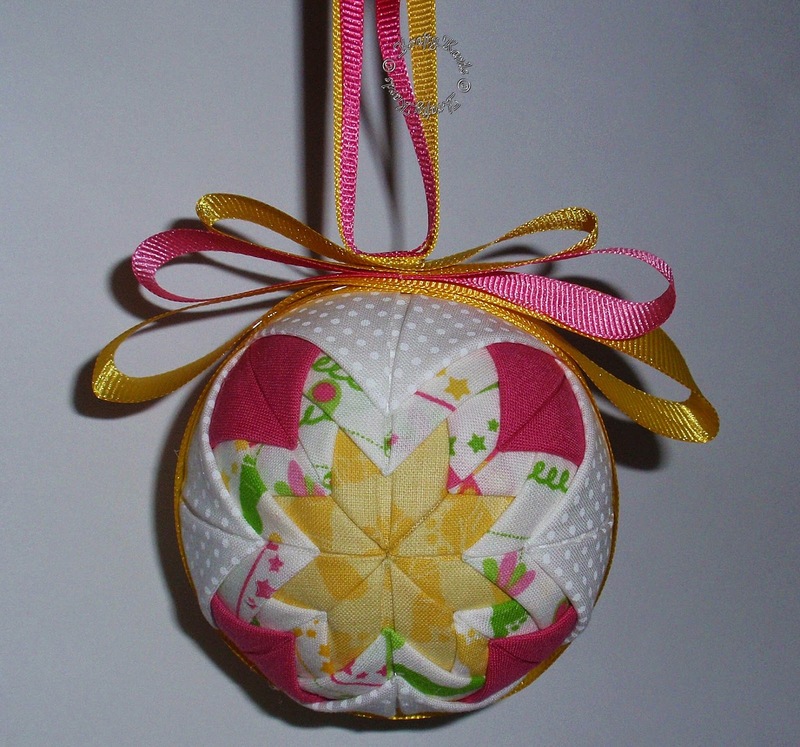 I picked up fabrics, pins and styrofoam balls each time I passed a craft store. 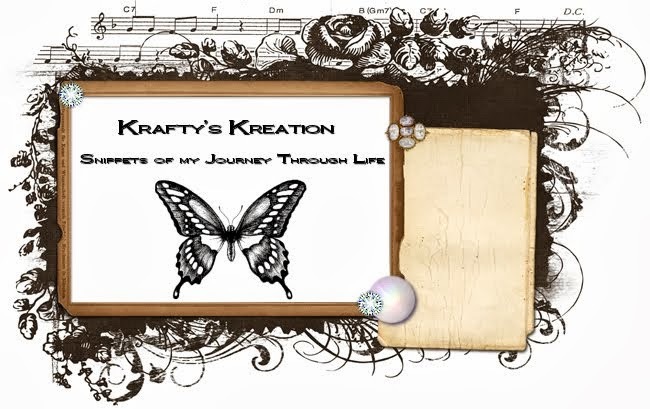 You can find a couple of videos on how to do them on YouTube. I watched as many as I could because each person has there own flair. so I hope you sit back and enjoy all the different ones I did. 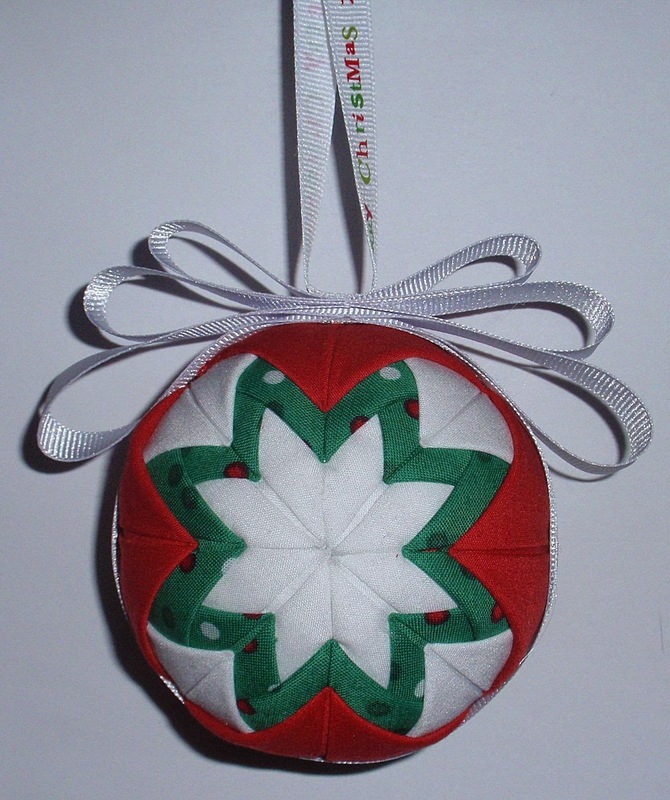 I also put these up on my Etsy shop and am able to make any color/fabric combination you may want...just let me know. This one reminds me of Traditional Christmas. 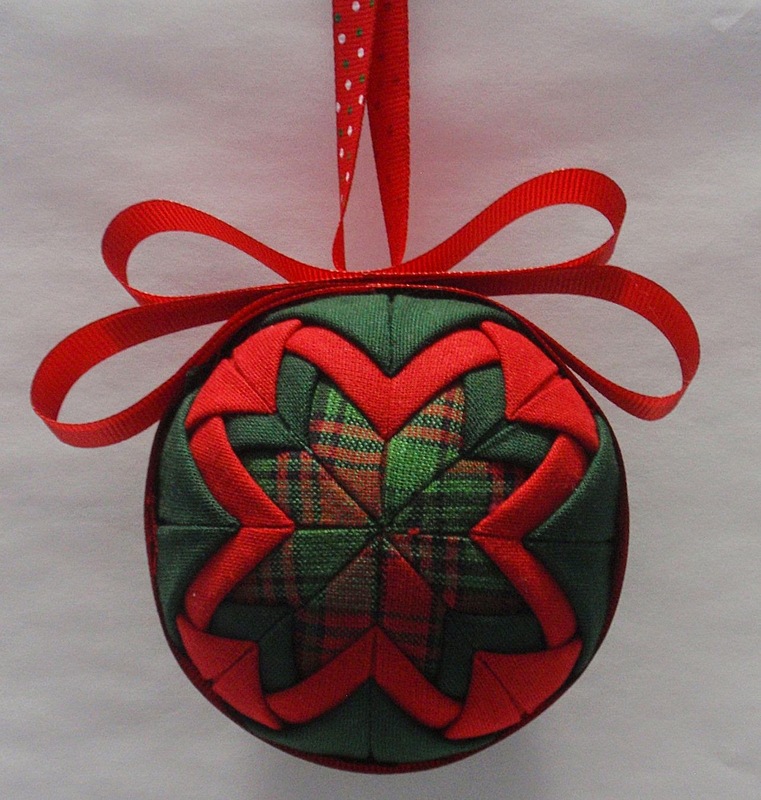 Red, Green and plaid fabrics along with red ribbon with green and white dots. 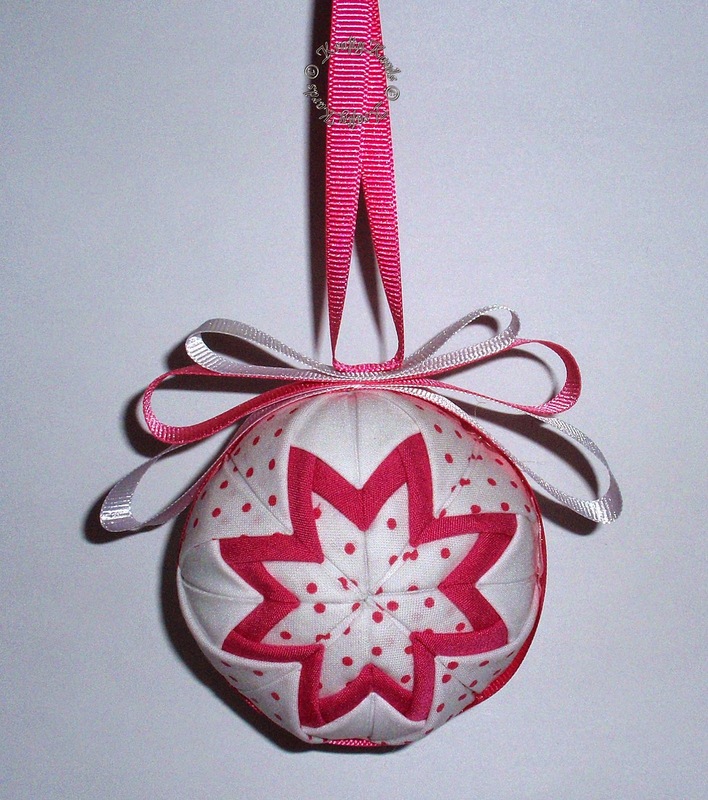 This one is a bit more fun with white, red and striped fabrics. 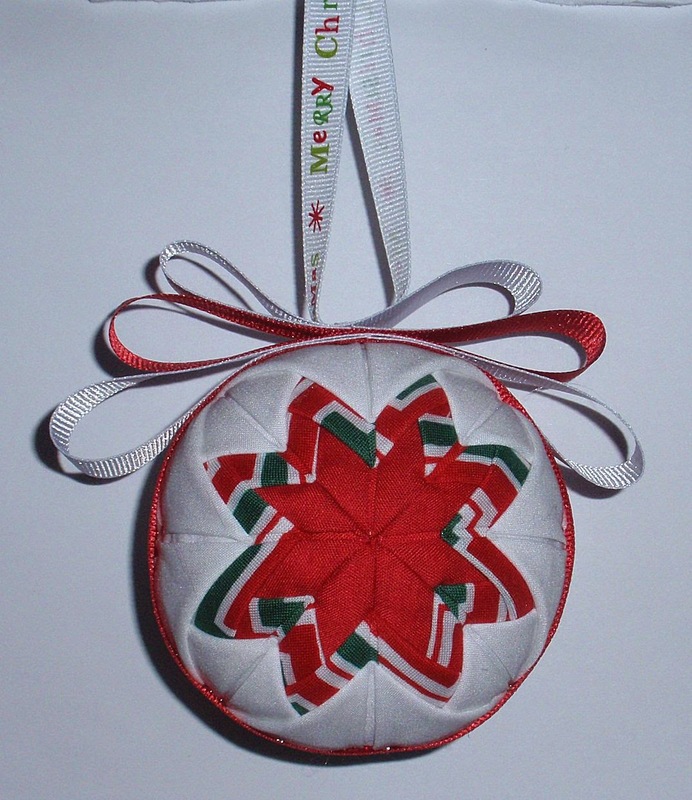 The ribbon is red and white with Merry Christmas printed on the white small ribbon. Red, White and green polka dotted fabrics with white ribbons. 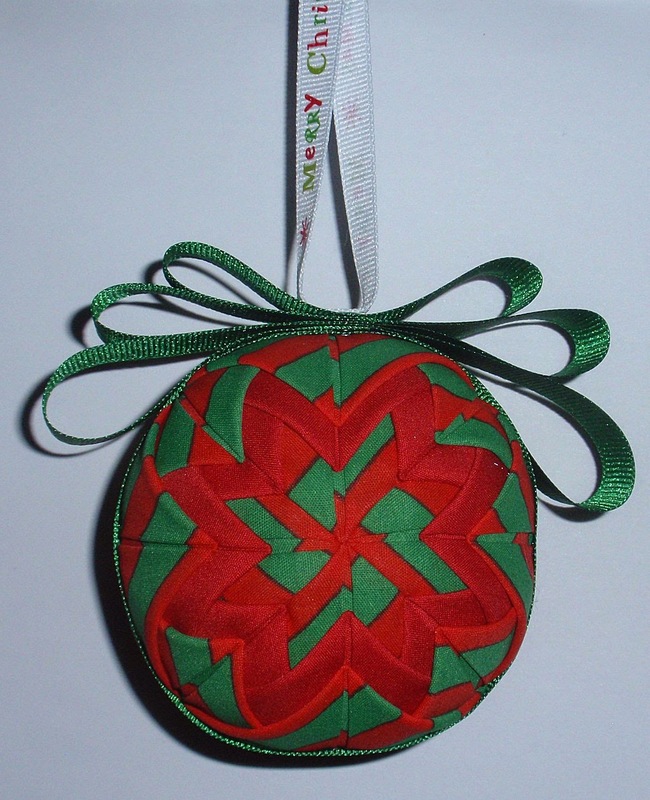 Green and Red striped fabrics with green ribbons. 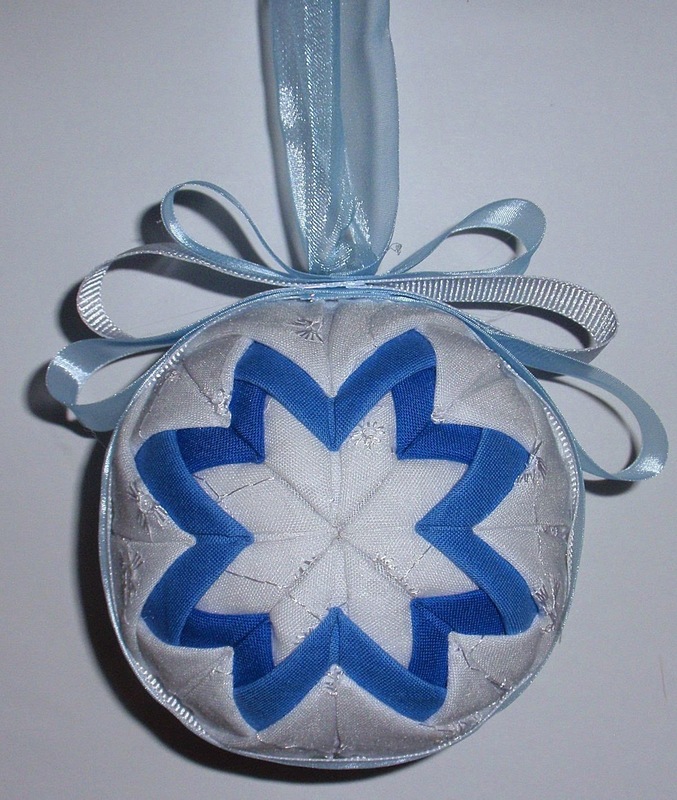 White lace and blue fabric with white and blue ribbons. Now we are getting into some sporty ones. 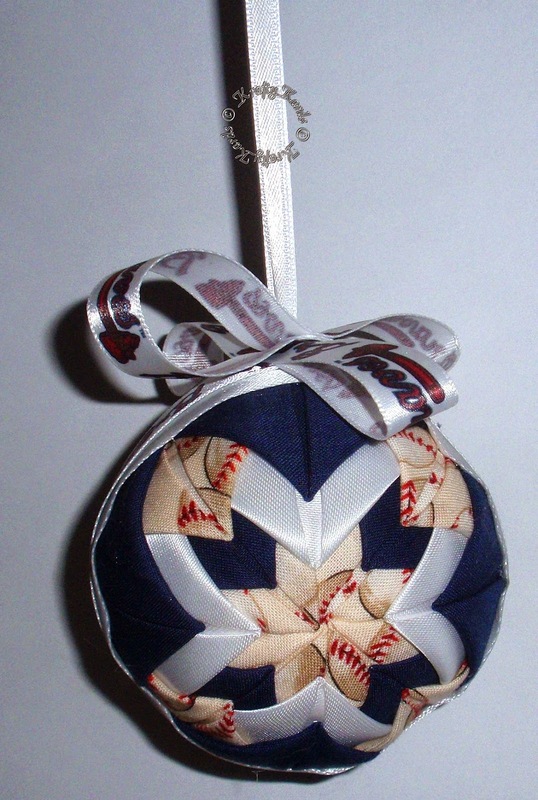 This one has blue, white and baseball printed fabric. The ribbon has the Atlanta Braves printed on it. 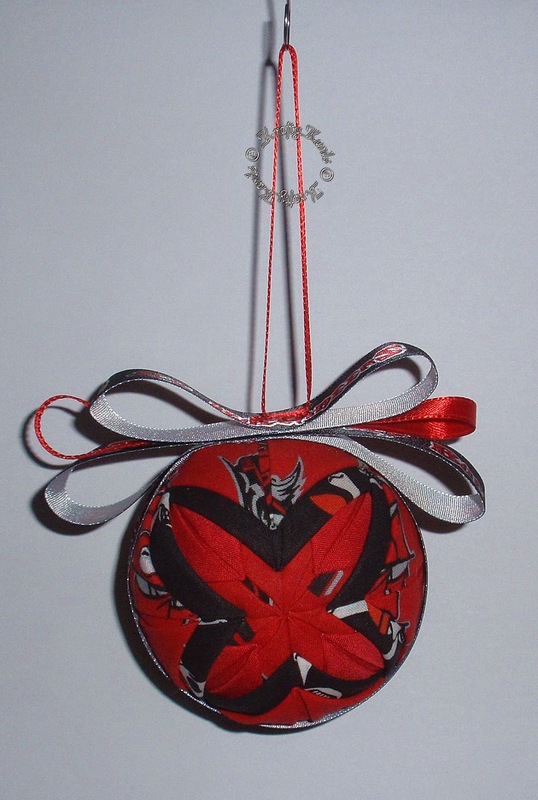 This one has Tampa Bay Buccaneers fabric and ribbons. Here are some fun colored ones. 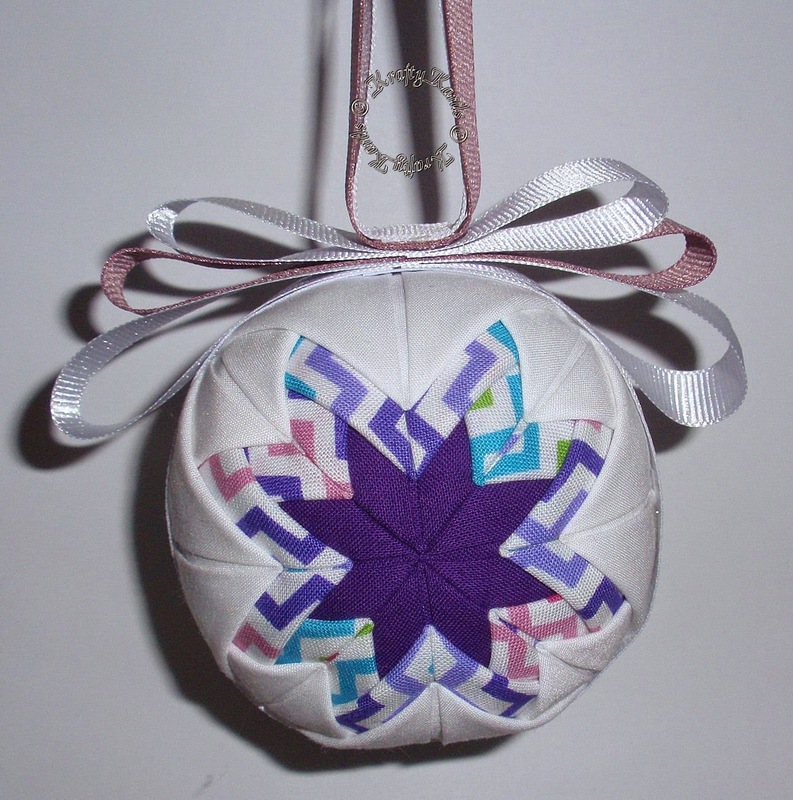 along with white and purple ribbons. Pink and white polka dotted fabric with some baby fabrics as well. Pink and Yellow ribbons to match. White, pink and pink polka dotted fabrics with pink and white ribbons. Black and black polka dotted hot pink fabrics with black and pink ribbons. 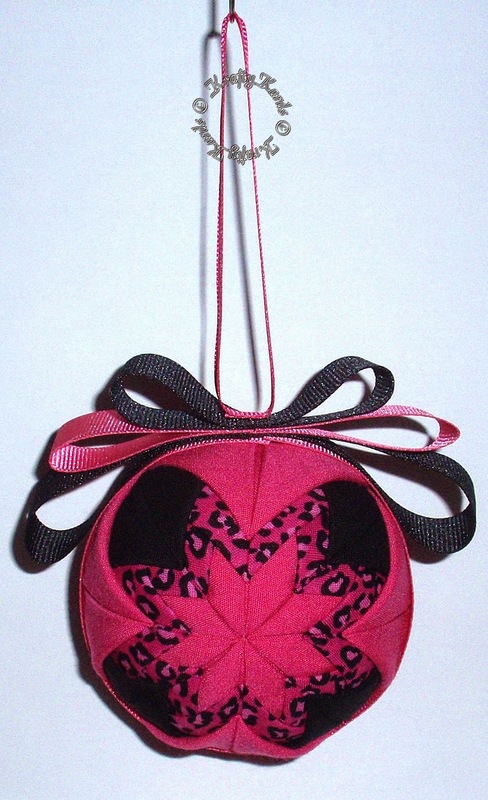 Hot pink, black and pink/black animal print fabric with pink and black ribbons. as well as me gifting some of these to friends and family this year. It was a lot of fun to do, but I had to put my fabrics away before I had so many ornaments I wouldn't know what to do with them all. Honestly, they are so easy to make, I hope you try them!!! If you do, please let me know below so I can share with you. Thanks so much for stopping by and take care!